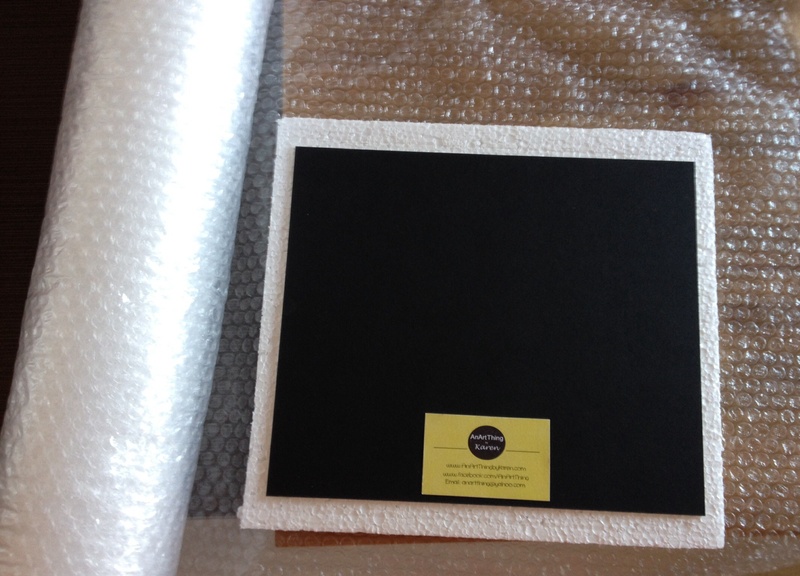 Getting a drawing ready for posting. 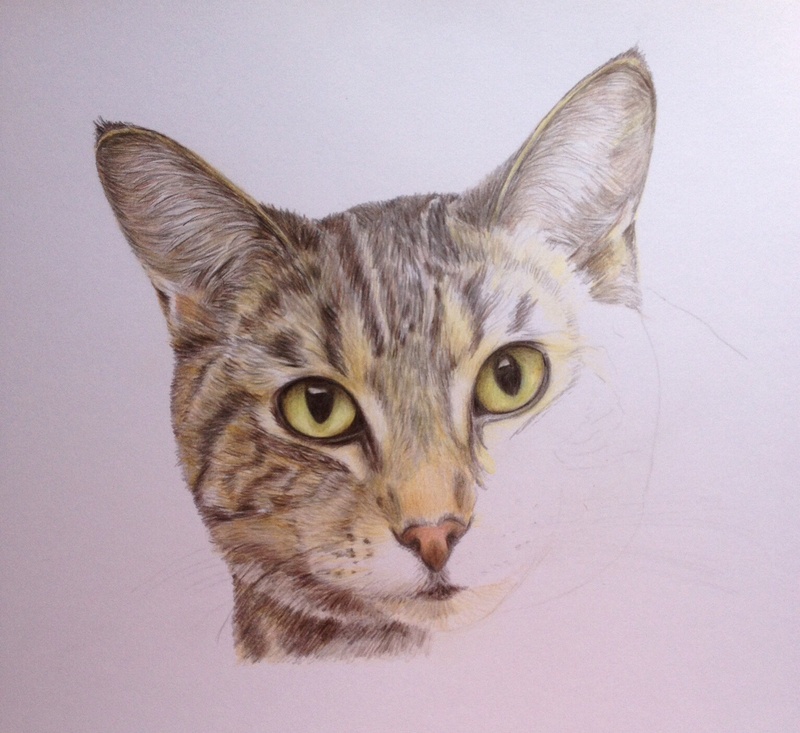 This little ‘puddy’ cat is starting to come alive – working on the right ear now and slowly darkening it up. Do you know that years ago I didn’t like cats – it wasn’t until the restaurant where my husband worked had this little stray black cat turn up at 11 o’clock every night to be fed a prawn. We bought him home, named him Clive and he has now been part of our family for over 5 years. 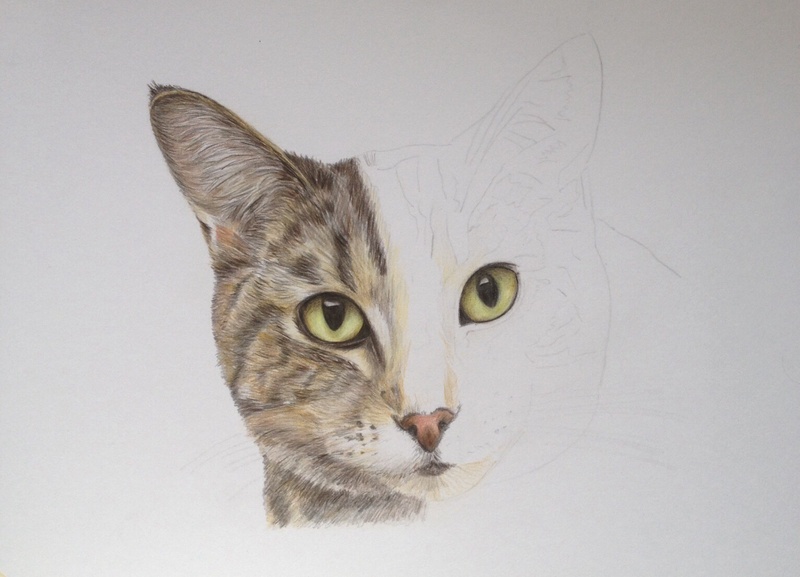 I’ve drawn several cats in graphite and am now really enjoying drawing ‘close up’ portraits of cats with my coloured pencils. Not the greatest photo, but it shows this afternoon’s work. A little update of this afternoon’s work. 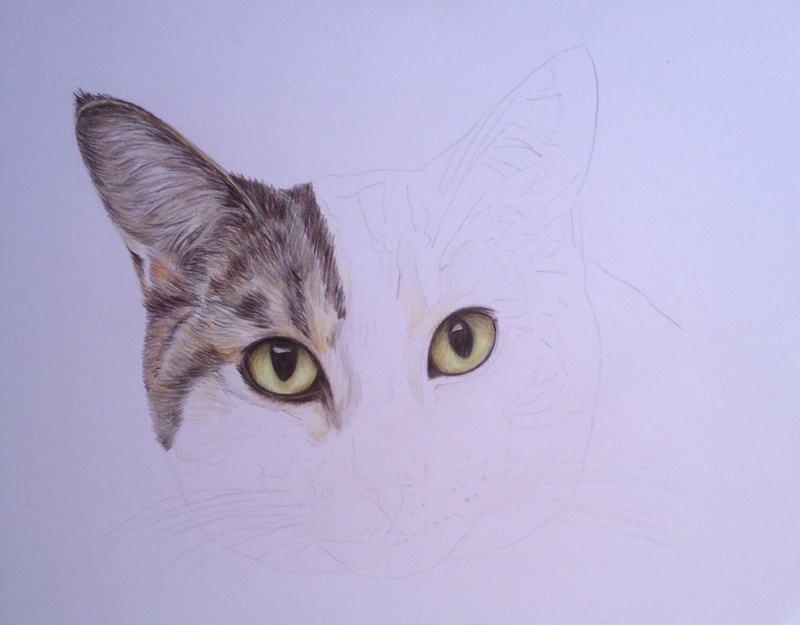 Just started this drawing of another ‘kitty’ – not much to look at, but you get the idea (lol) !! Thank you to J Guenter for the use of the original photograph. Here he is all finished. 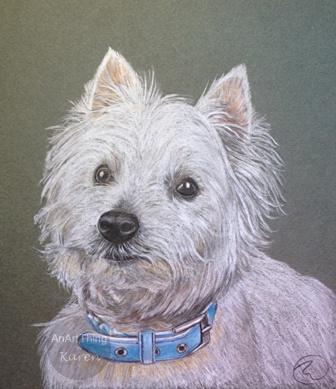 I used nearly a quarter of my white pencil on this drawing, unfortunately scrubbing it in, like I would if using pastels. Luckily my next drawing will be on my usual white paper! Thank you to C Holden for the use of the original photograph. 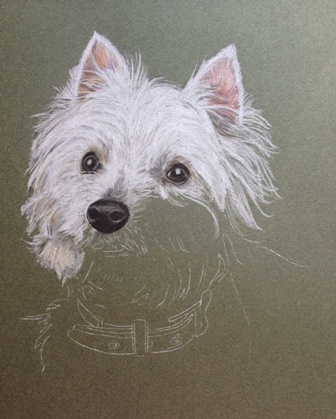 My white pencil is going down quite quick on this drawing, so a trip to the art store might be needed to buy another one (any excuse, lol!). 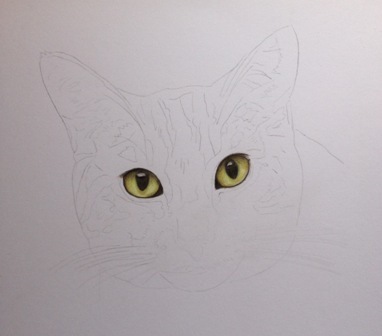 I will go over the whole area again to make the fur look better especially in the shadows.